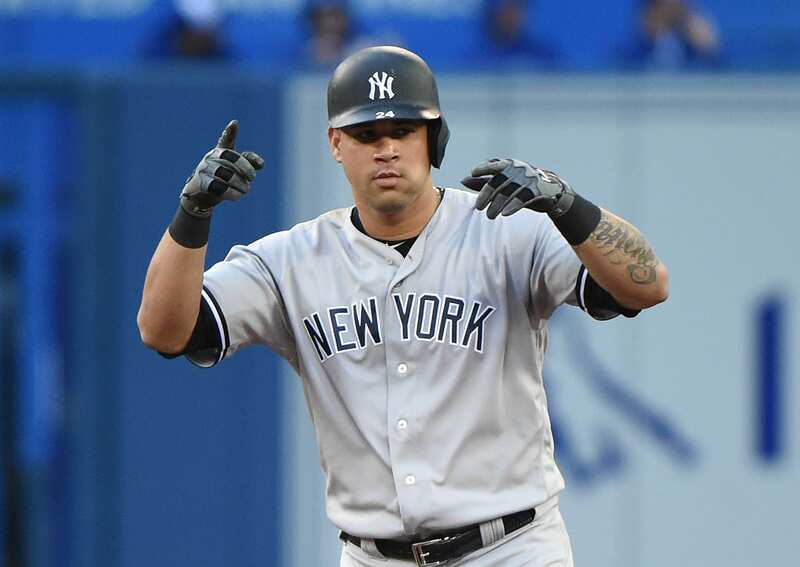 Finishing the year with 18 passed balls and a .186 batting average was New York Yankees catcher Gary Sanchez in 2018, earning himself grades that saw him as one of the worst catchers in the MLB. Sanchez was often replaced by Austin Romine, but the Yankees were keen on keeping their confidence in the talented catcher. Shoulder surgery and two strained groin injuries are assumed to be the culprit behind Sanchez’s poor season, as he was seemingly uncomfortable behind the plate and looked troubled running the bases. The Bombers did a bit of research in regard to finding a new catcher, but at the end of the day, their faith is in the home-grown product. While Sanchez’s statistical sample size doesn’t help much, his three years in the MLB have certainly told us one thing. The guy can hit a baseball. In 2016, he finished the year with a .299 BA over 201 at-bats. He smacked 20 homers in 53 games with 42 RBIs. Sanchez finished ranking second for the esteemed Rookie of the Year award. In 2017, he finished with a .279 BA. Dropping from an above average BA to below simply doesn’t add up, which is why we should trust the numbers and cough 2018 up as a dud. Injuries can surely take their toll on any player, especially a catcher, but Sanchez seems to have recovered from his ailments. Being youthful only helps his cause, as he can now focus on perfecting his game and developing fundamentals that will help him avoid injury. “I am sure we will red flag him at the beginning and take care of him, but he is healthy.” Ensuring he stays healthy will be the focus going into spring training. The hope is to develop a flow and have him on a positive note as the regular season begins. One of the more underrated aspects of the current Yankees team is the support from the players. With young leaders like Aaron Judge, Miguel Andujar, and Didi Gregorius, Sanchez has all of the support he needs to make a big comeback in 2019. Relying on his teammates to pick up the slack can only work for so long, as we saw last season in the regular season and playoffs. Sanchez usually bats in the No.5 spot, right behind Giancarlo Stanton. His spot in the order is influential, and keeping him there is a sign of trust in the coaching staff. Keeping his confidence levels high will be the goal moving forward, and the players he has around him will surely assist in that objective.